Tooth decay is one of the oral diseases usually affects those areas which are difficult to clean such as back teeth (molars). Dental sealants are safe coverings which help to protect tooth surface from decay. 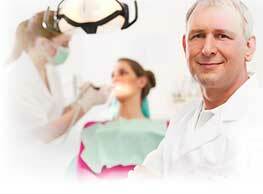 Sealant can be easily applied to the teeth with no pain or discomfort and requires very less time. Fluoride is a natural mineral which helps to make teeth resistant to plaque or bacterial attack. As a result, tooth decay is prevented. Apart from using fluoride-rich food and water, the dentist usually recommends mouth rinse with fluoridated toothpaste. Nowadays, facial injury is seen to be frequent in individuals and children, who are engaged in various sport activities. Although, sport authorities have made certain norms regarding injuries, but still it is advised to be a little careful with the equipments used in the sport. The body parts such as face, arms, etc. should be protected from getting hurt.